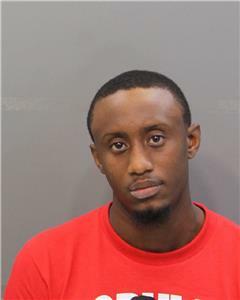 Police arrested Demarcus Kelly after finding him with drugs and a loaded gun near the UTC campus. Kelly, 22, of Trussville, Ala., was charged with carrying a weapon on school property, possession of a firearm while intoxicated, unlawful possession of a firearm, possession of drugs for resale and possession of drug paraphernalia. In an incident on Sunday, police observed a vehicle driving north on Douglas Street cross the center line as it turned onto E. 8th Street. The vehicle was stopped and it was found that Kelly was a back seat passenger. Police said there was a strong odor of marijuana from the vehicle. Officers said no one would admit having marijuana, then Kelly said he had some in his pants leg. Officers found 8.4 grams of marijuana there. Police said Kelly also said he had a gun that was at his feet. The firearm was then located. Police checked Kelly's phone and found it had references to sales of marijuana and xanax. Kelly said he smokes marijuana every 3-4 days.